(1) In the past, we have experienced that some treachery is taking place simply by using our brand ETA Support. Some people are taking advantage by fraudulent activities that may include offering guaranteed visa or jobs abroad. Please be informed that we are not deployed by Government or no way part of it. We are an independent visa processing company who guides people to get the visa in exchange of a service charge. We do not hold any authority to approve or reject your visa. As per as jobs are concerned, we do not offer any job abroad. We also do not deal with cash. Customer can only pay for the service via international payment gateway. (2) Visa processing fees are not refundable unless some kind of negligence on our part. (3) It will not be considered as breach of contract in any kind of failure or delay of application as well as damage or loss of any other documents due to theft, accident, natural calamity or any other reason which is outside of our control. (4) ETA Support Australia is not liable for any kind of loss or delay causing by any third party. (5) We recommend you not to purchase any travel ticket before getting the visa confirmation unless it is a pre-requirement. If your visa application gets rejected we will not be held responsible for your loss by any means. (6) Applicants are allowed to reschedule their appointment maximum three times. After that period is over you have to start proceeding from the beginning. Service charges you have paid earlier are non-refundable. (7) ETA Support Australia is not responsible for the accuracy of your application form. It is your duty to provide the true accurate information. (8) We may change, cancel, amend, withdraw part or all our terms and conditions mentioned here at any time. No employees whatsoever have any authority to change, amend or take any other kind of decision. (9) Service charges are non-refundable whether your visa application is approved or rejected by Australian Travel Authority. 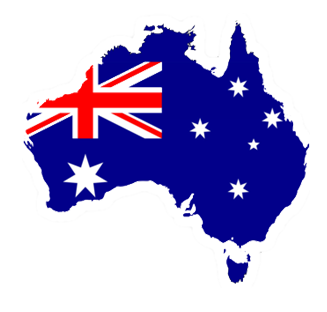 (10) ETA Support Australia fully respects your right to privacy in regards to the personal information that is provided to our website www.etasupport.com.au while applying for an ETA or eVisitor visa online. (11) While browsing our site you might be redirected to other sites as well. We don’t have any legal right to control those sites. Contents, nature, and availability of those sites are not in our control. (12) We try to provide the state of art technology to run the website smoothly. After all our efforts, in case if our website comes temporarily out of service or not available regarding some technical issues, which is beyond our control we won’t be held responsible for that. (13) The clients hereby accept that they understood and agreed to all terms and conditions provided to this website.